Palestinian claims of uninterrupted Arab hegemony in Jerusalem and the Land once and now known as Israel for thousands of years is emphatically disproved by the easily accessible archeological evidence in the ancient city of Jerusalem and surroundings. Whether or not you elect to study the genetic, regional, cultural and religious origins of the peoples now living in this tiny strip of land, facts exist that give witness to thousands of years of Jewish history in the Land of Israel. While you may not accept the authority of the ancient Jewish texts (as seen for example in the scrolls of Qumran and the Aleppo codex), you cannot avoid the testimony of history as revealed by the stones themselves. And if you distrust the Jewish writings, then take a look at the widespread writings of nations who have invaded, conquered and been conquered in this land. They agree on time and place of many significant events with each other and with the exposed physical evidence. It is amazing and absurd that over the last 60 plus years we have witnessed a mass worldwide acceptance of wild historical claims propagated by the leaders of the PLO with the help of world politicians and a willing media. Internalization of this information as fact is not only to be found among those who have no grounding in Asian-Middle Eastern social and religious history, but is propagated among those who claim to be highly educated. For the uninformed perhaps easy acceptance is emotional, an instinctive identification with a group presenting itself as the underdog, but for others there is an agenda, political, economic or social. The politicians are using a forged history to foment international opinion against Israel for their own benefit while knowing full well true history. They twist and erase the facts, deciding the logos, mantras and emotionally loaded words to achieve their purpose. The result? With money and media noise, they are guilty of stirring mobs to violence and fueling a fire that may engulf the Middle East and spread to the whole civilized world. Let’s begin with Palestine. It’s easy to find the origin and history of the word. The pronunciation of Philistine as transliterated into English was Palestine – Falestin when transliterated into Arabic. Therefore the name itself makes no claim of the history of a people, but instead is one of the several names applied to the variations of a geographical are ruled by , depending on who was ruling. Any citizens including Jews, Muslims and Christians, who live permanently in Israel: Palestinian Jews, Palestinian Christians, and Palestinian Muslims. Once the State of Israel was established, the Palestinian Jews began to refer to themselves as Israelis. The PLO then hijacked the name and invented a genetic history for a mix of tribal peoples of Arab descent and Muslim faith who had lived in the area for varied periods of time. Until that time there was never a “separate people” called Palestinians and never an identifiable nationhood for an Arabic-speaking united people under that name. According to the Ottoman census of 1882, Palestine had a pop. of 41,000 Muslims including non-Arabs. 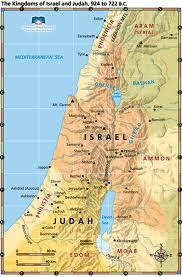 However, by 1889, the Jews were Jerusalem’s majority- 25,000 in a pop. of 40,000. This small Arabic-speaking population included Arabs and Jews and during this time the places were called by Arabic names. These often sounded similar to, were a transliteration of , or were translations of the original name, thus helping to preserve the ancient identification. Now these original names have been or are being restored. Strange isn’t it, that in order to conquer a land (Israel) and vanquish a people (the Jews), a people and a history had to be invented out of whole cloth? But isn’t it stranger still that in the day of so much information and of international interaction, so many would believe and even die to prove the lie!? Thank you so much for the information. As an American, it was hard for me to understand how the names in the Bible could match the current names of some of the areas. I guess I was falling into a well thought out trap. This fortifies what,in my heart,I always knew. Israel is God’s land. Isreal does not belong to God, it belongs to the people of palestine. That is why the Jewish will not make peace, they are fearful of the truth, the land is not theirs. Helen, there is one at the end of each article. You don’t see it if you haven’t clicked the ‘read more’ and gone to the bottom.